Editor’s Note: This is the last of a series of 10 vignettes in which IMS Senior Communications Manager Paul Kelly picks his top 10 moments of 2017 at the Indianapolis Motor Speedway. The telephone call came early, probably around 6:45 a.m.
My mind quickly became an empty whiteboard. I checked the calendar, and it was April 12, not April Fools’ Day. This was REALLY happening. I’ve worked in racing journalism or public relations since 1988, and few events have left me speechless. This was one of those times. And I’m sure I wasn’t alone. The global buzz was palpable later that day as Andretti Autosport owner Michael Andretti, Hulman & Company CEO Mark Miles and IMS President Doug Boles discussed plans for Alonso to become the first active Formula One driver to race in the Indianapolis 500 since Teo Fabi in 1984. Alonso also wasn’t just another F1 driver trying to cross over at Indy. Two-time F1 World Champion Alonso, from Spain, is still regarded as one of the three top drivers on the F1 grid at age 35. He also was trying to become the first World Champion to make his Indianapolis 500 debut since Nigel Mansell spawned Mansellmania in 1993. But no one on this side of the Atlantic quite understood the impact of Alonso on this great race and this great place until Wednesday, May 3. McLaren scheduled a private test for Alonso, his first-ever experience in an Indy car and driving on an oval. The original plan was to stream a couple of hours of the test in the morning on the INDYCAR Facebook page and YouTube channel. Maybe the stream would attract a few thousand viewers because of Alonso’s global appeal. Plus the stream was slickly produced, with a host, analyst and reporters. But it was, after all, just one car cranking out laps at IMS. It was a midweek workday. How much interest could there be? The stream stayed live all day due to the global demand, with more than 2 million viewers from every cranny of our big blue marble. Alonso showed plenty of humility and willingness to learn from all corners during the test. He appreciated both the history of IMS and the enormity of the task of trying to earn the second leg of his goal of wearing the Triple Crown of motorsport by winning the Monaco Grand Prix, Indianapolis 500 and 24 Hours of Le Mans. Only 1966 Indianapolis 500 winner Graham Hill has achieved that feat. He also got up to speed quickly, showing strong car control during the test and looking like a veteran, not the race’s most celebrated rookie since Danica Patrick in 2005 and Mansell in 1993. But doubts about Alonso’s speed and congeniality lingered in the days leading up to Opening Day, Monday, May 13. Sure, Alonso was fast. But that was with no traffic on track. And could he “trim out” his car and ride the lightning on Pole Day to earn a strong qualifying spot? And would Alonso continue to be amenable to all fan, PR and media requests? F1 drivers are protected from the public in a fishbowl known as the paddock, a fortress inaccessible to fans. At Indy, Alonso would be besieged daily by autograph seekers, well-wishers and the media. Guess what? Nothing changed once the crucible of practice and qualifying fired up on the opening week. Alonso cheerfully agreed to do every media and sponsor appearance. He signed autographs for droves of fans through the fence on pit lane and in Gasoline Alley. He charmed fans, officials and media with his easy-going nature. The gasoline-powered skateboard that he used for transportation around the garage and pits was a hit for everyone and showed that he wasn’t a diva-like drama king trying to inhale the entire spotlight like Mansell in 1993. All of that would be a charming irrelevance if Alonso flopped behind the wheel. But instead, he was a revelation. Alonso qualified a stunning fifth for the first IndyCar race and first oval race of his life, turning a four-lap average of 231.300 mph. He was fast, fun and having the time of his life. On Race Day, Alonso showed no nerves and incredible talent. He brought the massive crowd that included Vice President Mike Pence to its feet, roaring with delight, when he took the lead for the first time on Lap 37. Alonso went on to lead four times for 27 laps and was running seventh, nose-to-tail with eventual winner and former F1 driver Takuma Sato, with 25 laps to go. 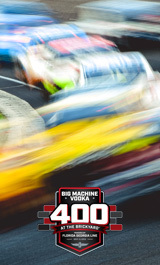 He was biding his time like a veteran, ready to pounce over the last 20 laps in an effort for one of the most remarkable victories in the 106-year history of this great race. But that chance was cruelly halted on Lap 180 when a puff of white smoke trailed from the rear of Alonso’s No. 29 McLaren-Andretti-Honda entry. He pulled off track inside Turn 1, his day over. But something remarkable and organic happened as Alonso climbed from his stricken car and started to walk toward pit road. Hundreds of thousands of people rose to their feet and gave Alonso a standing ovation, which he acknowledged with heartfelt waves to the crowd. Just one month before, IMS fans didn’t know much about this guy other than he was one of those F1 drivers who stopped coming to the Speedway after the last United States Grand Prix at IMS in 2007. Even though he was credited with a 24th-place finish in this year’s “500,” that magical ovation indicated Alonso had truly arrived at IMS. He was a Hoosier, one of us, who just happened to drive into our hearts despite hailing from the city of Oviedo, on the northwestern coast of Spain. Alonso sealed his lasting impression at IMS with two more poignant moments after the checkered flag flew. He came to the fourth floor of the Media Center for a post-race press conference, answering every question politely and eloquently despite his disappointment. He then reached under the dais and hoisted a bottle of milk, toasting and thanking the media for its coverage during May. The next night, Alonso gave one of the most heartfelt, gracious speeches of any Indianapolis 500 driver after he was named Rookie of the Year for the race. Alonso promised he would return to race in the “500” someday, even if not next year. And you got the real impression he wanted to come back to Indiana and the Indianapolis 500 because they were a comfortable, welcoming new racing home for him, not just some box to tick or an entry to complete on his racing resume. Please come back soon, Fernando. You’re always welcome at IMS.